Grace was that barn-rat kid. She could never be late, or leave before all the bridles were clean. She was the kid sweeping the barn aisle for extra ride time or tagging along to shows she wasn’t competing in just to be there and groom horses. She grew up competing in the local hunter/jumper circuits before attending Texas Christian University. Grace joined the equestrian team at TCU while studying environmental science. She focused on school overriding during these years – but during the summer, she went to Lexington, Kentucky, to work at Mill Ridge Farm as a filly handler, prepping the youngsters for the annual auction at Keeneland. Some of the fillies Grace handled and prepped sold for up to $500,000 at auction and have won over $1 million in earnings at the track. Grace worked for Shelby Graham at Shady Grove Farm, where developing young jumper riders was a specialty. Then she sidestepped into eventing – a whole new world! Gone were the days of hunter green show jackets, and in came an air vest. Grace spent years studying dressage and cross-country, broadening her skill set. This experience was crucial for her as a developing rider and teacher. Margaret Kitts at Equine Endeavors taught Grace how to teach young riders, how to give them confidence, and how to truly create a relationship with their horse. Learning the ins and outs of competition, horsemanship, and handling is always a top priority for Grace and her students. Pulling lessons learned from Monty Roberts, Tom Dorrance, and Buck Brannaman, she infuses her hunter/jumper lessons with education about horsemanship. 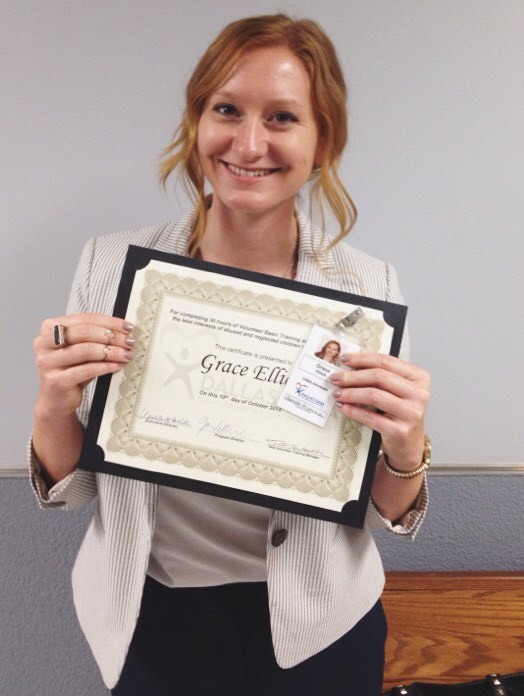 Grace uses her knowledge from these special disciplines to create well-rounded riders.